Mr Leon Martin is founder of the new agricultural system “Natraculture – Natural And Safe Agriculture”. Natraculture offers land managers/agricultural producers a farming system that provides the ‘step between’ conventional agriculture or other biodynamic/biological/organic/permaculture agriculture farming systems, and combines the best management strategies from the other systems for optimal productivity outcomes and efficient and highly sustainable use of the earth’s resources. Leon’s vision is to improve the taste and nutritional value of all foods & beverages, making them the best eating/drinking experience possible for consumers, and to improve the character of fibres and other commodities to make them the finest in the South Pacific region. The adoption of best farm management practices will benefit producers by improving the condition of the soils/farmland, waterways and environment, whilst providing unique opportunities for producers to be more productive and able to produce commodities with unique points of difference, creating opportunities and optimising business viability. Leon completed a Bachelor of Agricultural Science with honors in 1984 at LaTrobe University, Melbourne, Australia. He worked for 4 years with Pivot Fertilisers as an Agronomist and 2 years with Acil Australia Pty Ltd as an Agricultural Consultant. 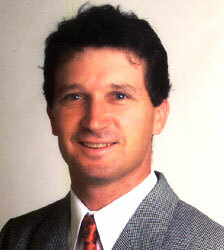 Since 1991, he has been the Managing Director of ‘Natural Ecosystems Group’ (formerly ‘Leon A. Martin & Associates’) operating across south eastern Australia and New Zealand and he continues to work as a Consultant/Soil Scientist specialising in soil, agronomy and related animal health issues.